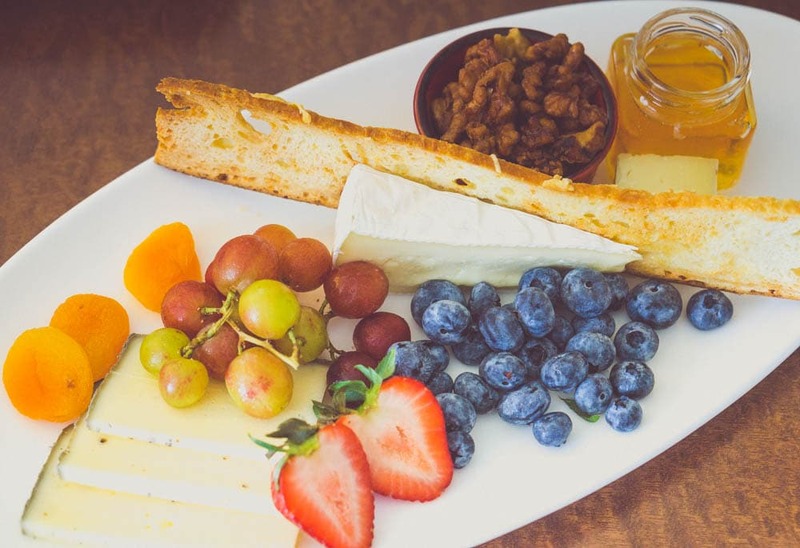 You don’t need theme parks to have a great vacation in Orlando— Here’s how to Experience Orlando without theme parks and have an amazing getaway! When most people hear Orlando, they immediately think of theme parks. 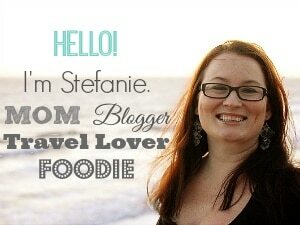 Even as a native Floridian I’m guilty of the association. 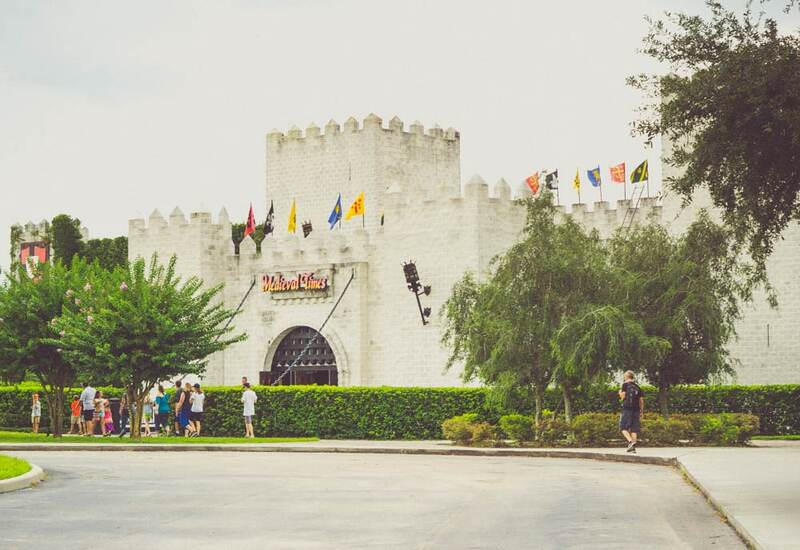 Theme parks may be what the city is known for, but they’re definitely not the only attractions in the area. 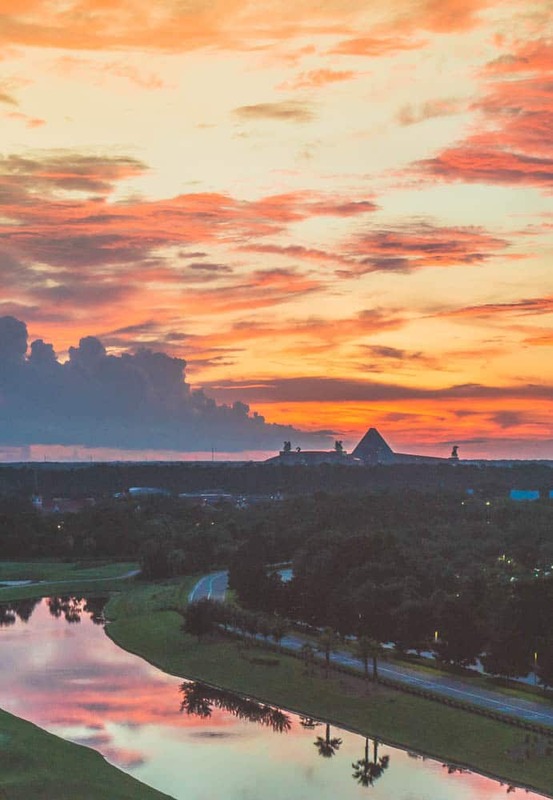 In fact, you could vacation for weeks in Orlando and never visit a single park with all there is to see and do. 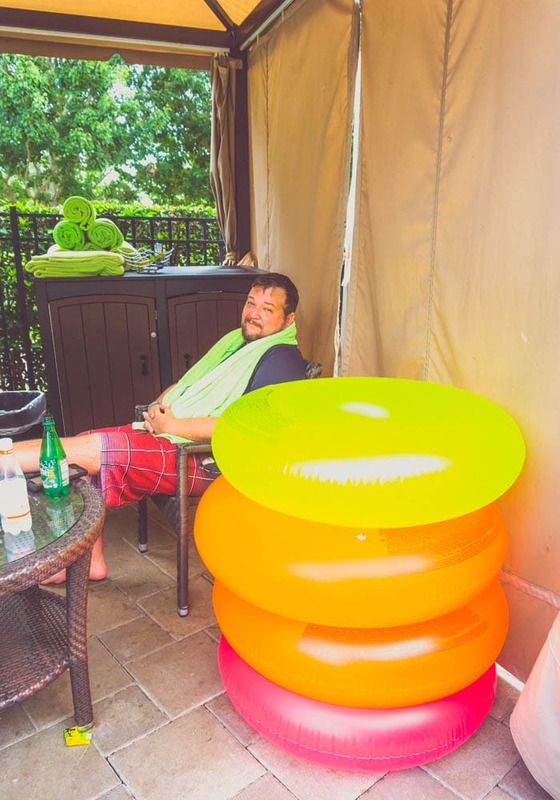 My family was recently invited to experience some of the best non-theme park attractions in Orlando as part of the Experience Orlando package with Hilton Hotels. Quite frankly, we were blown away by the quality of entertainment available and had one of the best times we’ve EVER had in Orlando! Our trip began at the glorious Hilton Bonnet Creek resort, which is a destination all to itself. My family is a big fan of Hilton and its properties, and have stayed with the brand around the world. With that being said, there is something truly special about Hilton Bonnet Creek. More than any resort in the area, Hilton Bonnet Creek makes you feel welcome. The cozy accommodations surround you from the moment you check in at the lobby. 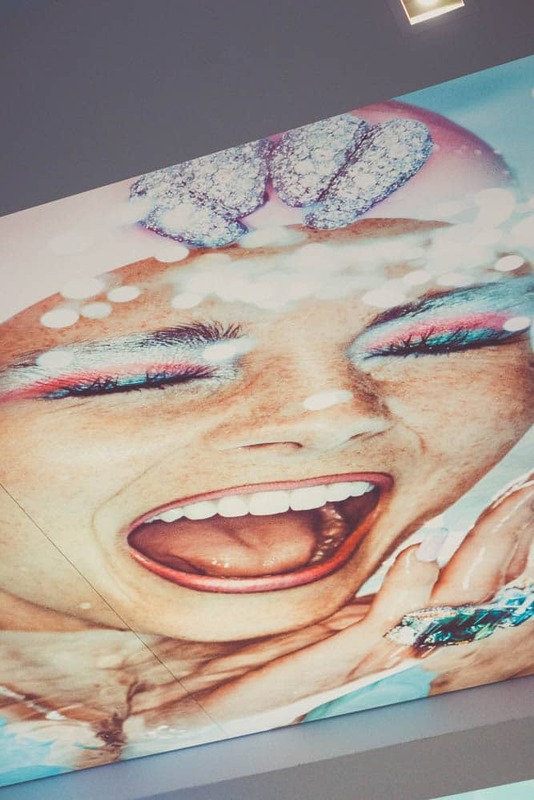 The resort screams “vacation mode” without being loud or obnoxious. It’s just a warm feeling that borders on luxury, without the hefty price tag. Our room was pretty standard for a Hilton property, but what makes Hilton Bonnet Creek unique is its immersive pool area, signature restaurants and tucked away location that makes you feel secluded, even though you’re in the middle of all the action. 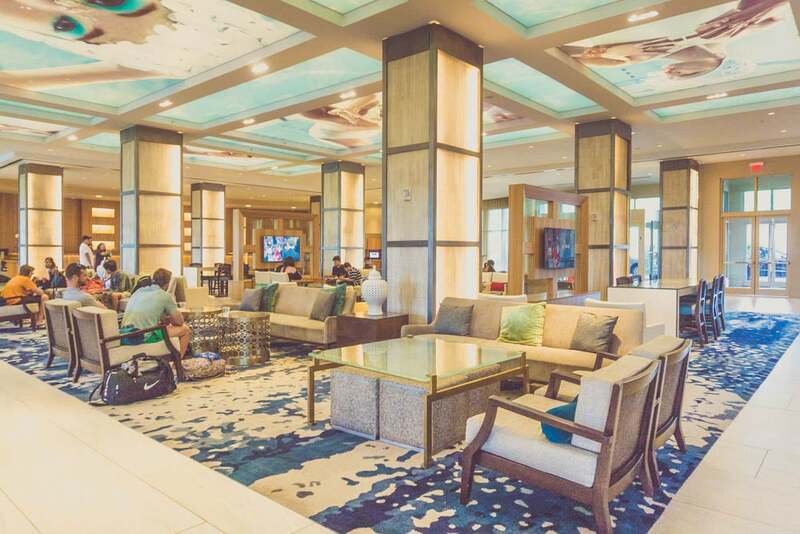 These three details make the resort an exceptional option in Orlando, whether you’re visiting the theme parks, or just looking to relax over a long weekend. 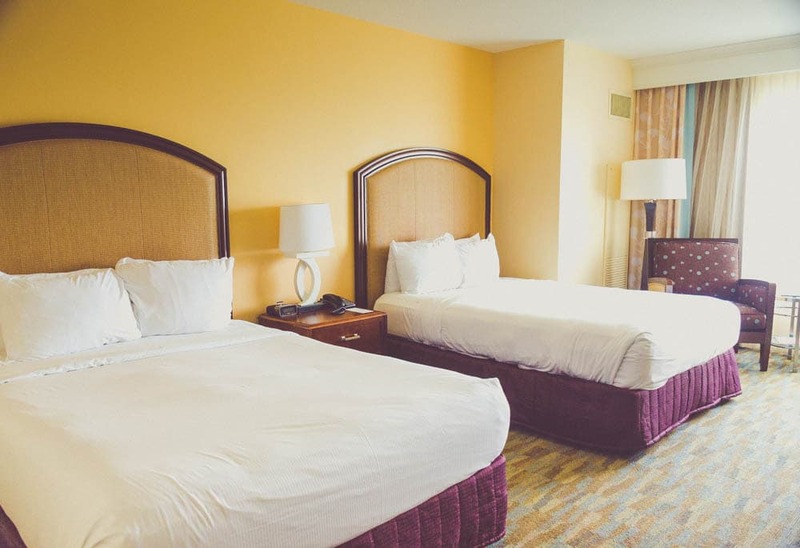 After we checked into our room at Hilton Bonnet Creek, we hit the ground running for our long weekend in Orlando. Even though we weren’t visiting any theme parks, we still had reservations for three popular area attractions. The first was a dinner show at Medieval Times. 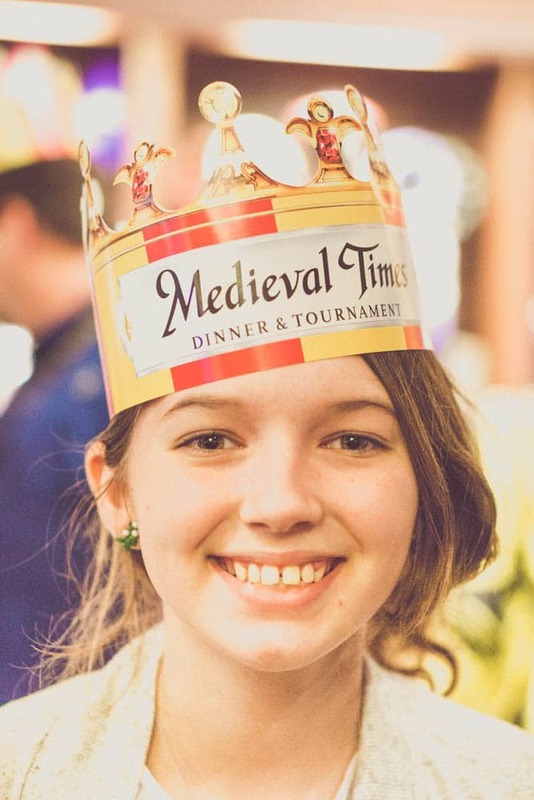 I consider Medieval Times to be a classic Orlando attraction. I first visited when I was a little girl— maybe six or seven years old— and I still have fond memories of attending the dinner and tournament with my family. My husband and I took our daughter when she was ten and she loved it so much that she requested to go again this summer…. at 14-years-old! I don’t care what your age is, there is just something so liberating about feasting on tomato soup, roasted chicken, potatoes and corn on the cob without utensils! 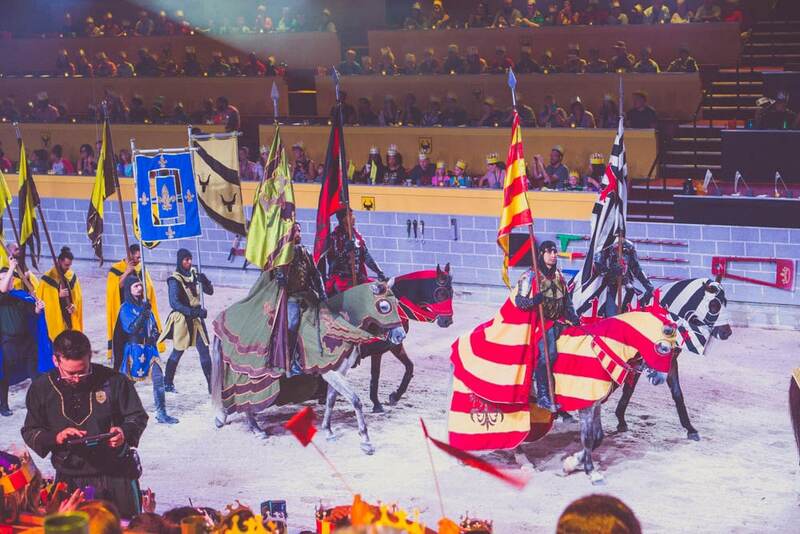 You really can’t help but to cheer on for your designated knight— which for us was black and gold….and guess what? He won the tournament!! After dinner, we went straight back to Hilton Bonnet Creek because we had a super early morning. 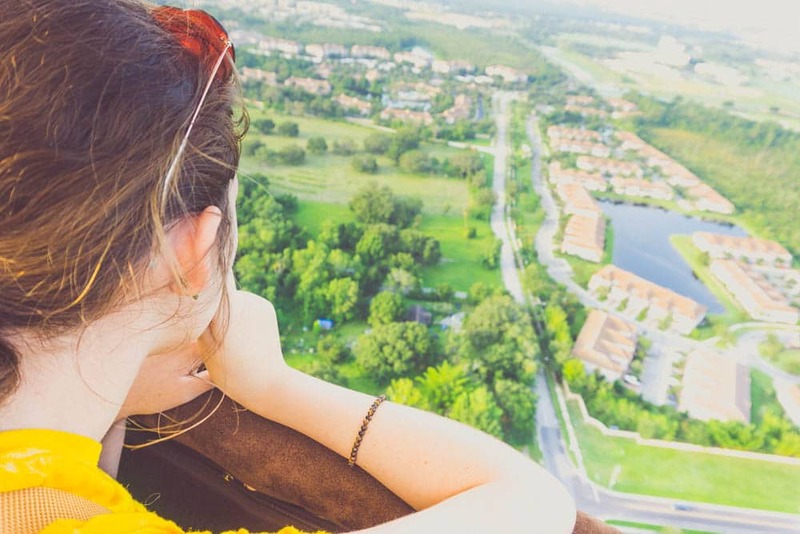 Our wake up time was at 4:30 am for a hot air balloon ride with Orlando Balloon Rides. Before passing out, we witnessed one of the most amazing sunsets from our room. The sky was simply glowing with hues of pink, purple and orange. My only wish was that the skies would cooperate for our first-ever hot air balloon at sunrise the next day. 4:30 am arrived quicker than I anticipated, and before I knew it we were on the interstate towards Davenport for our hot air balloon ride over Orlando. 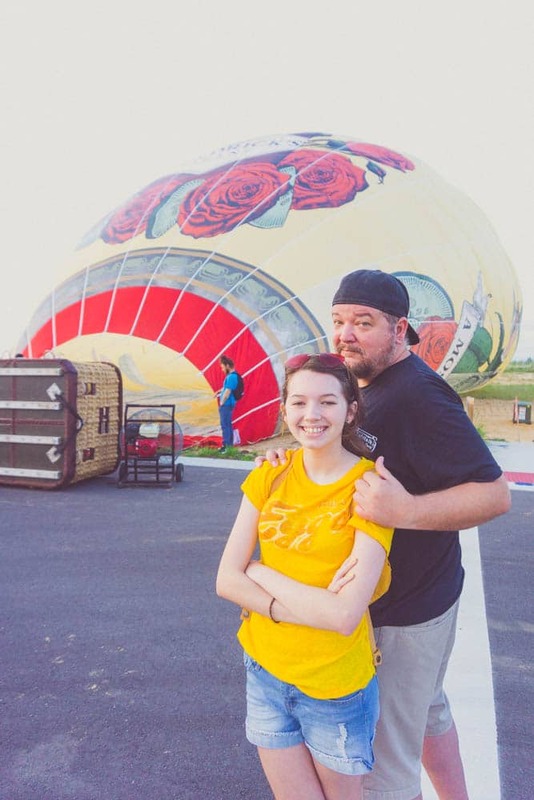 I really need to preface this next part with the fact that I was the one that convinced my husband and daughter to go on a hot air balloon with me. It was a bucket list activity that I wanted to experience as a family. My husband and daughter weren’t as convinced, but to their credit, they went along for the ride. When it was all said and done, I was the one who was anxious about floating 1500 feet up in the air. 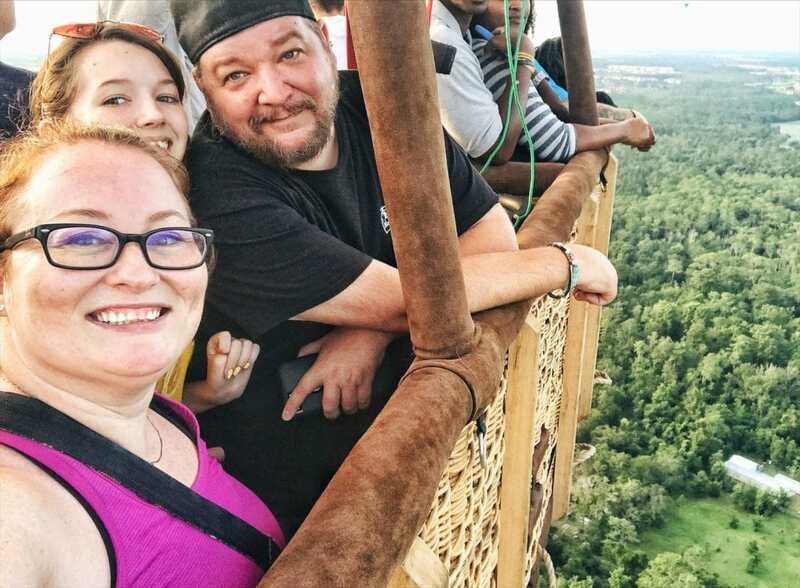 My husband, who is afraid of heights, loved every second of the ride and said it was one of the most incredible experiences of his life. My daughter was initially nervous but then admitted that it was “blissful”. I basically freaked out the entire ride until I was firmly back on the ground. Looking back, I was being ridiculous because it was a fantastic experience— so smooth and quiet. You really feel at peace while you’re up in the air. I wish I could do it again because I wouldn’t be so nervous the next time around. 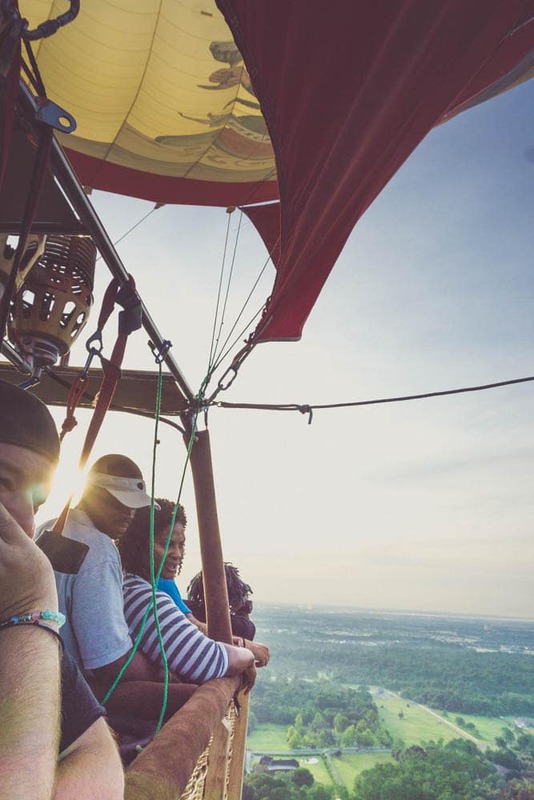 The thrill of being in a hot air balloon is better than any ride at a theme park. 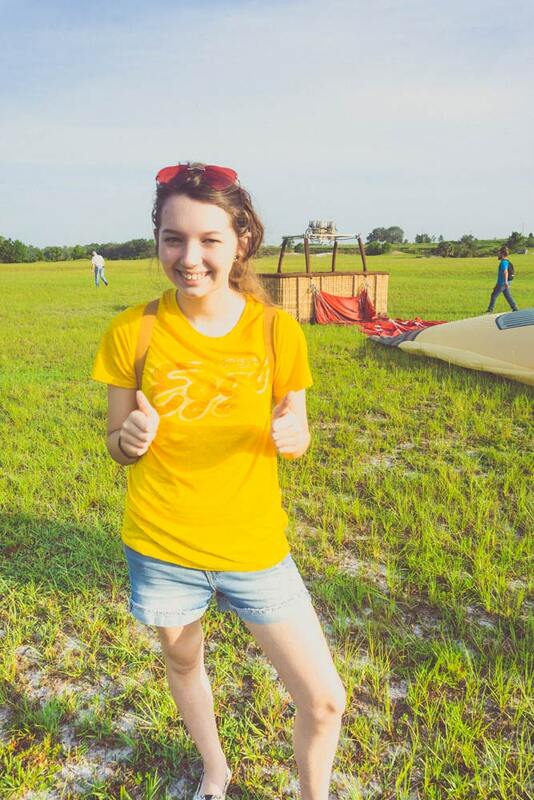 Kudos to Orlando Balloon Rides for the incredible flight. 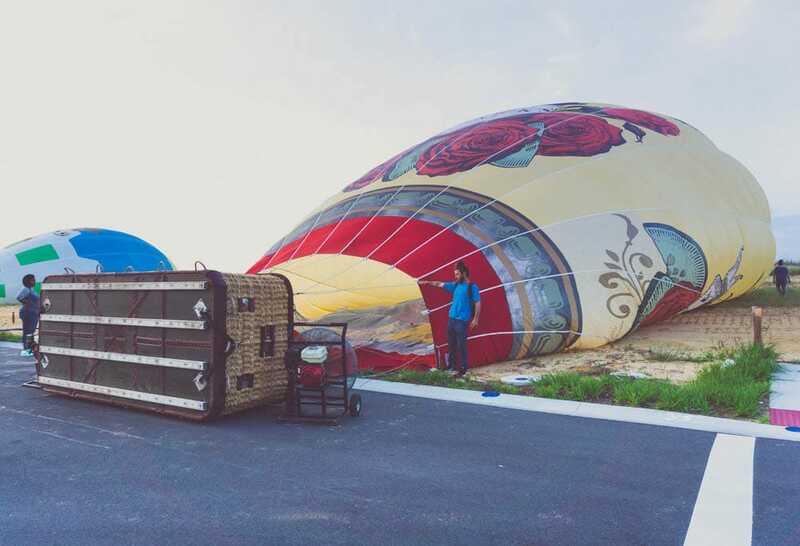 So you’d think after an early morning hot air balloon ride that we would take it easy for the rest of the day? Nope. Not with so much to do in Orlando! Our second excursion for the day was something my daughter has been begging me to do for what felt like forever— participate in an escape game. If you’re not familiar, escape games are really popular right now and involve a group of people who are put in a room (or multiple rooms) with the mission to escape. There are different themes and missions, but they all involve solving puzzles which hopefully lead to your escape. 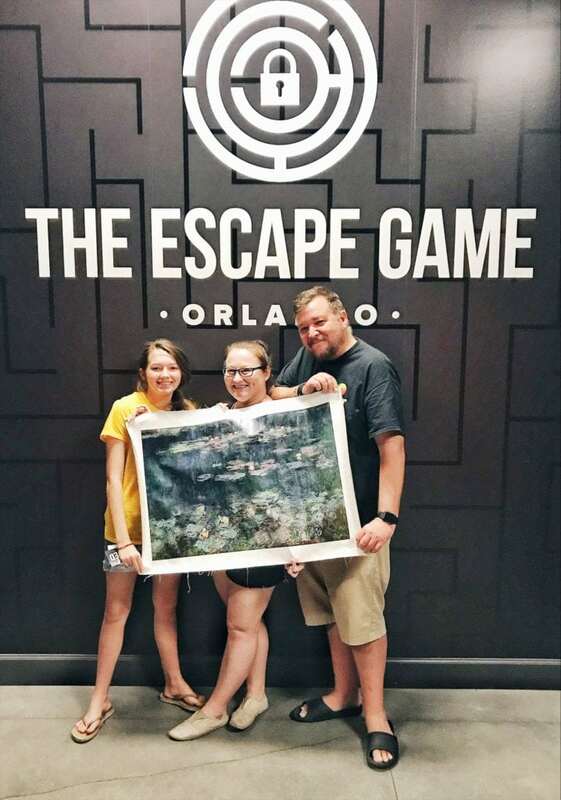 We worked with The Escape Game Orlando and participated in “The Heist”, which challenged us to find a stolen work of art in 60 minutes. I initially thought this game was going to be a piece of cake, but even with my incredible sleuthing skills, we barely made it out of the game with only a second— yes, truly one second— to spare. The Escape Game was so much harder than I thought, but it challenged my family to work as a team. I can’t tell you how much fun we had and I would definitely do another escape game in the future because it was such a unique experience. We were able to do the room as a family of three without combing with a larger group. This made the experience more intimate and secured some much-needed family bonding time. On of final day of our long weekend in Orlando, we finally had a chance to RELAX. It would’ve been a shame not to have spent an afternoon a the incredible lagoon-style pool and lazy river at Hilton Bonnet Creek. It was even named #1 by TripAdvisor’s Top 10 Fantastic Pools! 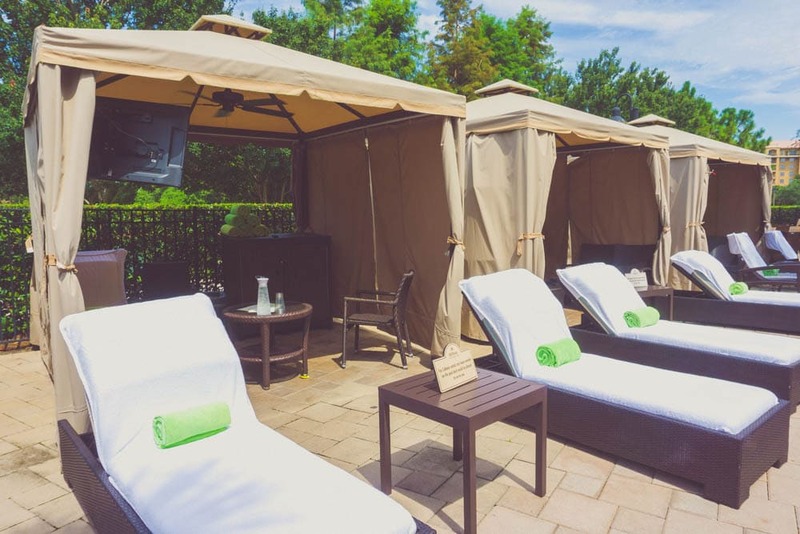 We were treated to a private cabana for the day, and I have to tell you, once you’ve experienced this little luxury, you’ll never want to spend another day at the pool without it! 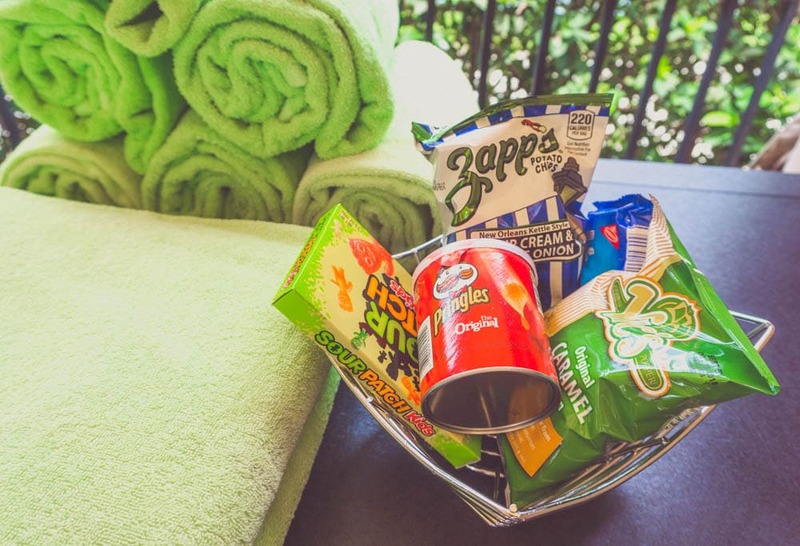 Each private cabana at Hilton Bonnet Creek can accommodate up to 8 guests and includes a selection of water, sodas, and snacks, plus a personal attendant for additional food and beverages. The cabana is covered with a fan and even has a TV! It was so nice to have a dedicated place to relax out of the sun. From now until September 30, 2018, over 20 Hilton family hotels in Orlando are offering a brand new Experience Orlando package, giving guests the chance to enjoy Orlando activities beyond the theme parks during their visit. 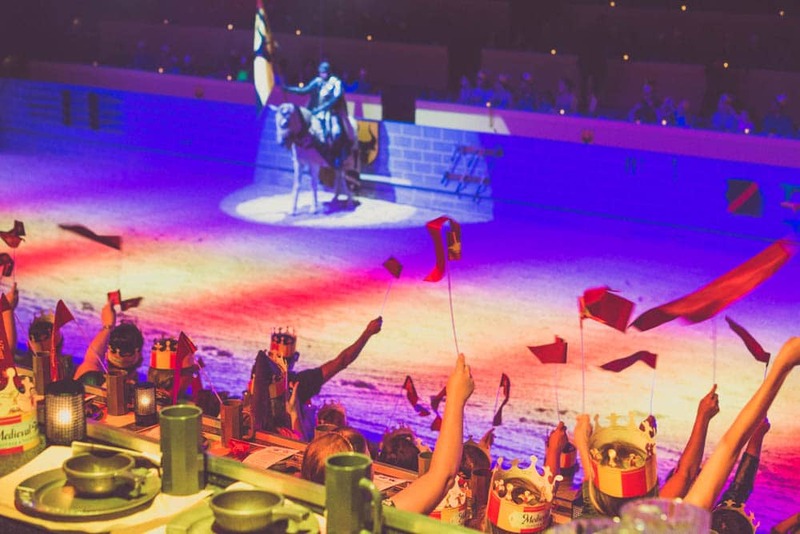 Guests who book the Experience Orlando package will get exclusive access to over $200-worth of unique discounts at over a dozen attractions and experiences around Central Florida, from family-oriented to thrilling adventures. 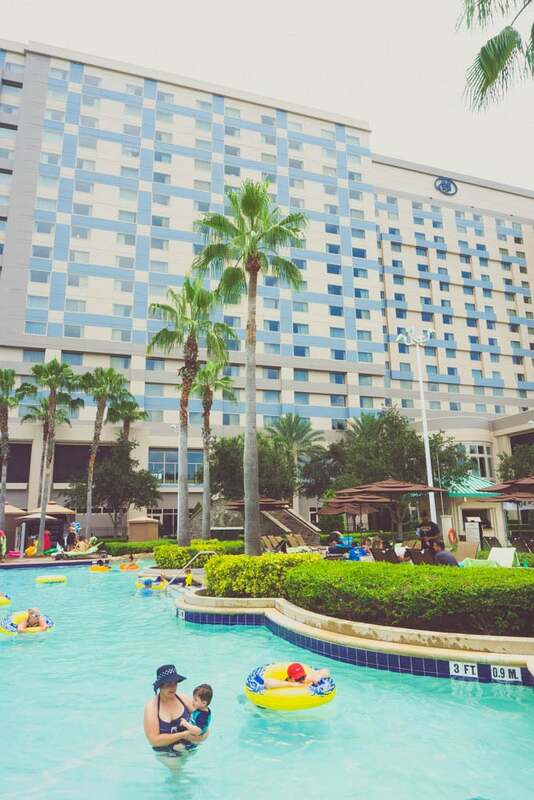 Special thanks to Visit Florida and Hilton Hotels for hosting my family for the Experience Orlando Package. All opinions are my own.